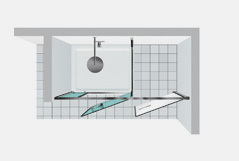 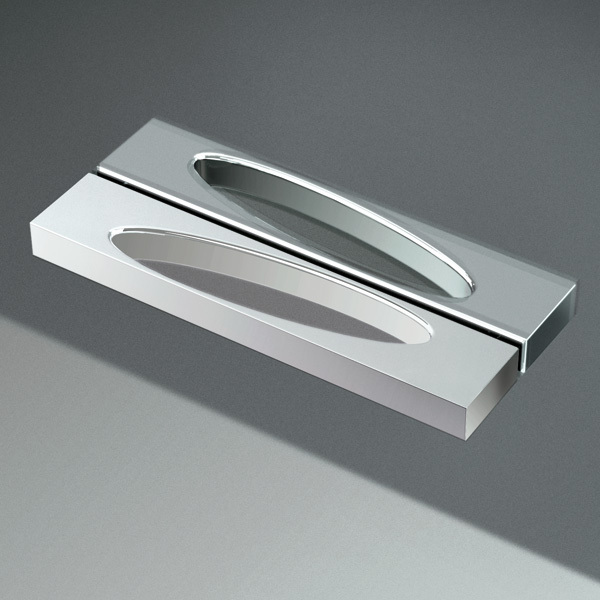 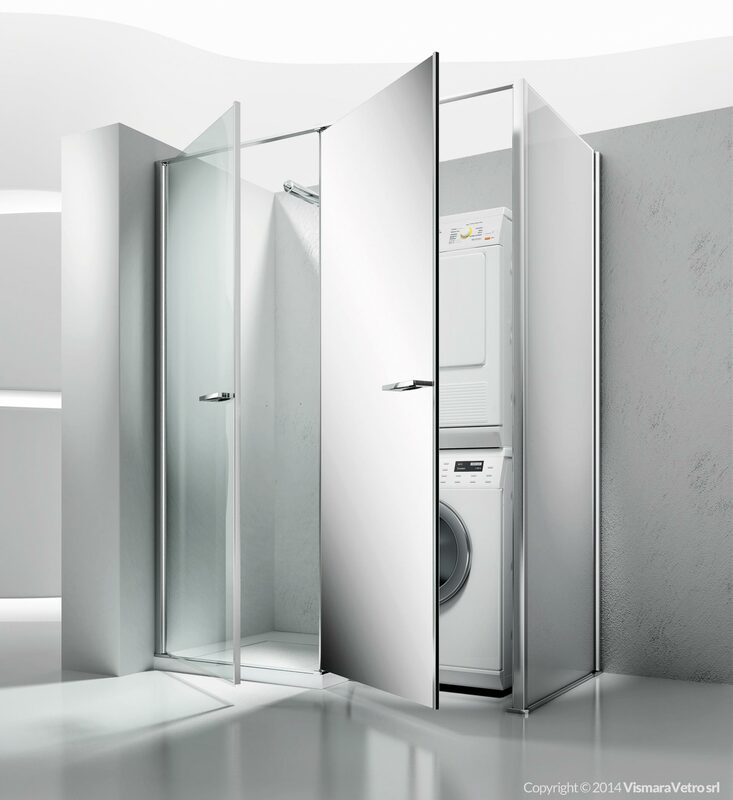 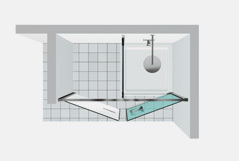 Model 160x80 – for installation on an already fitted shower tray next to the storage space on floor.The storage space can be fitted with shelves or can contain household appliances in full compliance with the standards on the use of electrical appliances in the bathroom. 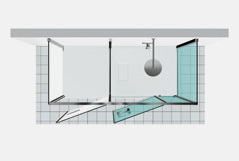 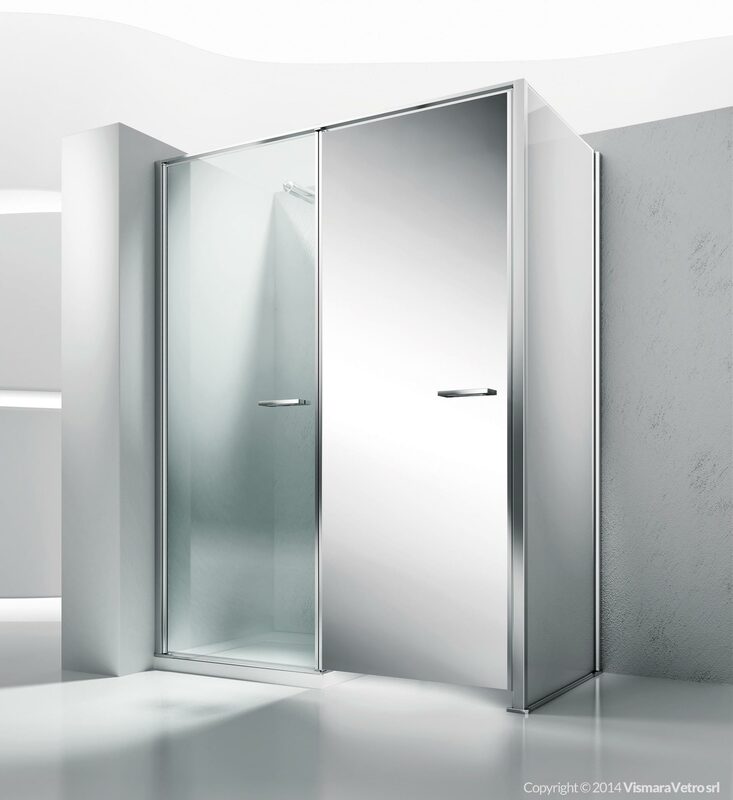 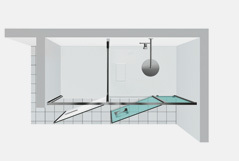 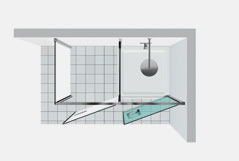 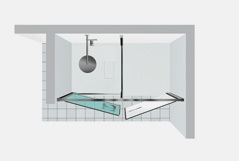 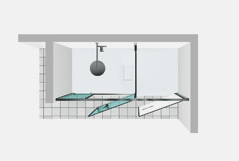 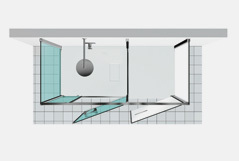 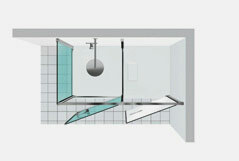 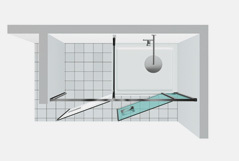 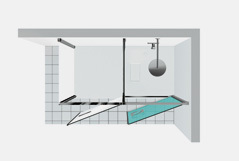 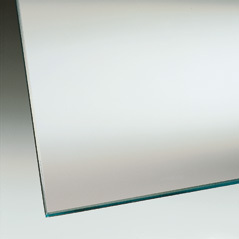 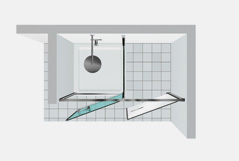 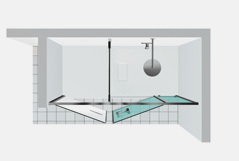 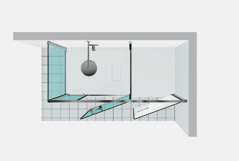 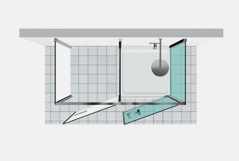 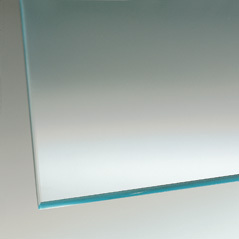 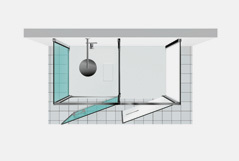 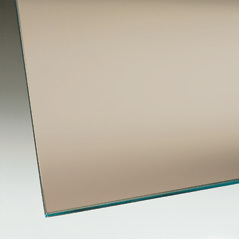 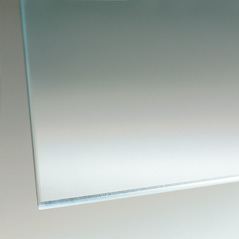 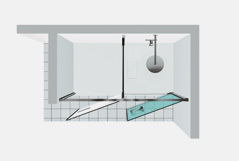 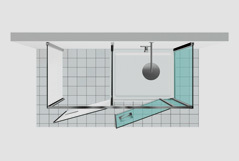 The shower enclosure can be installed on an already fitted shower tray; ; the storage space is placed on floor beside the shower tray. 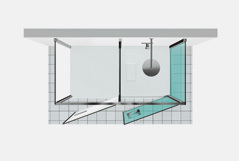 In T32, Twin has the shower space in the corner between the two walls. 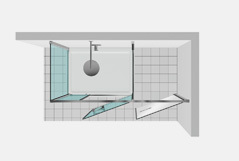 NOTE: The two doors opens in parallel (either right hand or left hand). 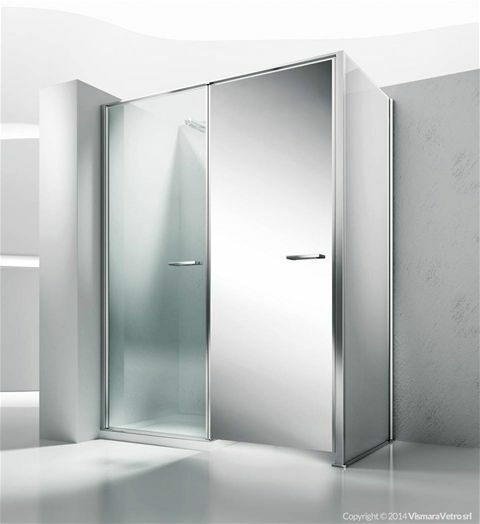 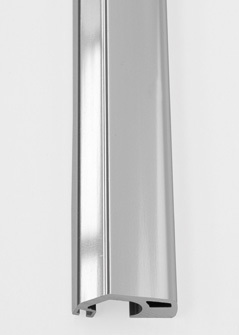 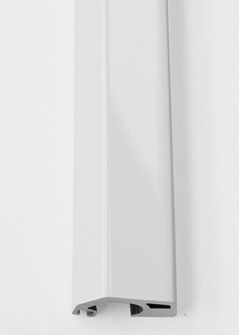 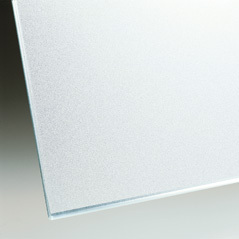 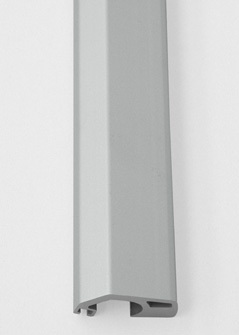 The door of the technical space allows an entrance of about 70 cm. 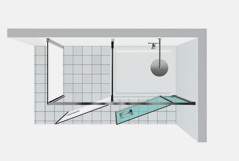 IMPORTANT: please always indicate the height in mm of the shower tray from the floor.